At its best, Mr. Mercedes, Audience Network’s new adaptation of the Stephen King novel, has genuinely honest and insightful moments that get at the culture of abuse and insecurity fostered by contemporary online culture. Nestled within the structure of a serial killer drama is some engaging character study, a deep dive into the psyches of two damaged men, one young and one old, the former sadistic and damaged, the latter spent and flailing. It’s smartly paced, with stellar performances and assured direction, and yet it feels curiously stodgy, with the emotional beats never landing quite hard enough and the action and humor scattershot. Chalk it up to the perpetual difficulty of translating a Stephen King work to the screen: The writer has an endless supply of hoary old tropes he recycles in his work, yet the sharp crackle of his language propels it along and makes these stereotypes come alive. When put in a different language and medium, it’s harder to outpace these weaknesses. The series certainly kicks off with a jolt: Its opening minutes find the anxious and desperate attendees of a job fair lining up for a good spot in the twilight hours, and just as we get to know a few of the unemployed hopefuls (it’s set in Ohio at the peak of the economic crisis in 2009), along comes a masked killer who methodically revs up a stolen Mercedes and plows through the crowd, killing 16 and injuring dozens. As crime dramas go, it’s an upsetting and nerve-rattling plot driver. Cut to two years later, when ex-detective Bill Hodges (a reliably great Brendan Gleeson), previously assigned the now-cold case, is struggling to find meaning in the wake of his recent retirement. An assemblage of can’t-let-it-go old cop clichés (divorcé, heavy drinking, waking up in his easy chair, wasting his days away), Gleeson imbues the typical straight-shooter King protagonist with some real soul (aided by director Jack Bender’s patient pacing), as taunting video messages from the still-at-large killer begin to shake him out of his spiraling depression and alcoholism. As Bill becomes active in the case, a cat-and-mouse game begins, and he finds himself engaged in an escalating struggle to flush out his unknown assailant, all while beginning a tentative courtship with the sister of the woman whose car was used to commit the crime (Mary-Louise Parker, who should really win some kind of award for yet again bringing so much life to such a thankless role). 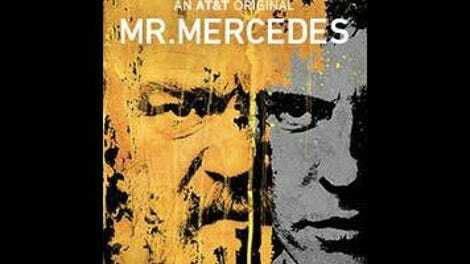 Like The Fall, another show that more successfully managed the tonal shifts between everyday human drama and serial-killer freneticism, Mr. Mercedes toggles back and forth between Bill and Brady, trying to gain narrative frisson from the interplay between well-meaning cop and malevolent misanthrope, but the attempt often comes across as a bit simplistic. (For instance, the show can’t let an episode recount how Bill once publicly embarrassed a haughty woman—his own version of trolling—without allowing Brady a commensurate moment of goodness, being kind to his co-worker after she endures vicious antigay slurs from a customer.) The writing struggles to find a balance between the folksy plainspoken demeanor of normal King characters and the push-and-pull rhythms of David E. Kelley, the longtime TV Svengali who developed and wrote the first couple episodes. (Subsequent installments fare better, such as episode four, with its teleplay credited to Dennis Lehane.) It often feels like the show is pulling back from getting too adventurous; any adrenaline-rush sequences are quickly tempered, another victim of prestige-cable drama ambitions stultifying some of the pulpier material. And make no mistake, there is lurid content aplenty. It’s just not always deployed in the most effective manner. To wit: The effort to provide insight into Brady’s deeply fucked-up childhood, and the way both he and his mother struggle to maintain some semblance of normalcy despite the fraught circumstances, might have been deeply humanizing and effective. But when our first encounter with Brady’s mom finds her trying to sexually abuse him, it’s difficult to get past the shock to see the subsequent person within. Rather than introduce these characters slowly, Mr. Mercedes often leads with a jarring and alienating beat, then backpedals into relatability. 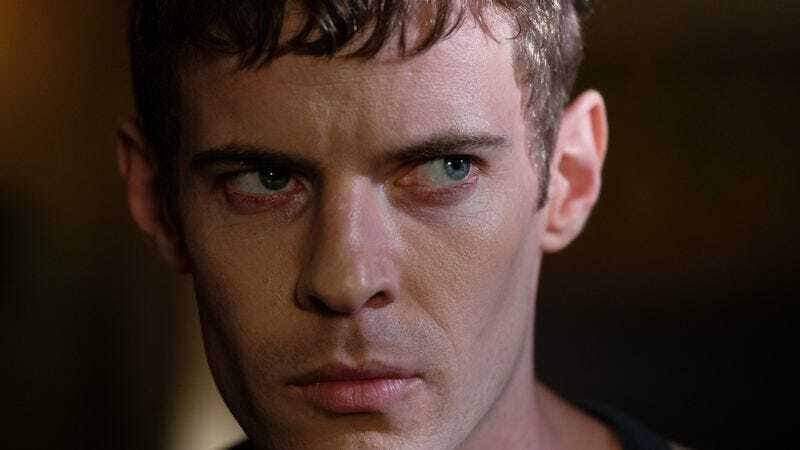 Still, the show does right by King’s updating of the classic taunting-maniac type: With Bill’s younger nemesis staking out his home and emailing him videos recommending suicide, all while feeling downtrodden and maligned in life, Treadaway effectively embodies the author’s idea of a psychotic online troll making the jump to real-world violence. It’s a bit facile, but it remains engaging even during the more predictable moments. The original novel smartly upends expectations in its back half, as it hurtles toward a breakneck climax; thanks to these capable actors, the stately buildup provided by the first half of this series makes the wait for the payoff worth it.